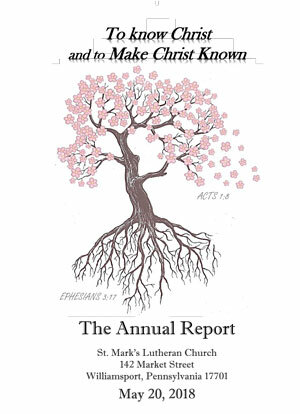 The book of reports for the 2018 annual congregational meeting has been issued. The Pastor and the various committee heads have reported to the congregation on the activities of St. Mark's, for the past year. The congregational meeting will occur on May 20, 2018 at which time the reports will be reviewed and Congregational Council members will be elected.